How Are Seniors Affected by Anemia? Statistics indicate that more than three million people in the United States have been diagnosed with some form of anemia. The disorder commonly develops secondary to a disease process that interferes with the number of healthy red blood cells. Our red blood cells carry hemoglobin, which contains iron and is necessary to circulate oxygen obtained from the lungs. Although there are more than 400 types of anemia, the disorder falls into one of three categories. The following are some common effects of the disease that seniors and live-in caregivers in The Grand Strand should be wary of. People with anemia often feel fatigued, dizzy or lightheaded due to the lack of sufficient circulating fluid, iron and oxygen. In this weakened state, elderly people may become unsteady on their feet and are therefore more prone to falling. If severely anemic, individuals might also faint and fall. Over-the-counter and prescription anti-inflammatory medications commonly cause gastric bleeding. If ulceration occurs, people may experience varying degrees of abdominal pain. Anemia and fluid imbalances also commonly cause headaches. Pain might also develop if anemia affects kidney, liver or spleen function. A lack of sufficient oxygen to the brain interferes with communication between neurons, which can affect cognitive function. As a result, older people may have a problem focusing, thinking clearly or display general signs of confusion. Anemia also affects the chemical processes that occur throughout the body. When these abnormalities combine with fatigue, confusion, discomfort and other symptoms, elderly people might become depressed or unusually irritable. Blood and fluid loss disrupts normal heart rhythms and leads to chest pain. Low fluid levels make the heart pump more frequently and harder in order to circulate what oxygen exists. If undiagnosed and untreated, anemia may lead to an enlarged heart, heart failure or death. This is particularly problematic if your loved requires heart disease or stroke care in The Grand Strand. 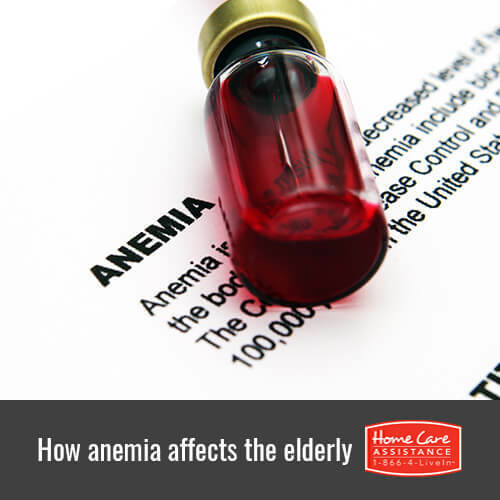 When seniors live with anemia, it’s important to have help readily available. 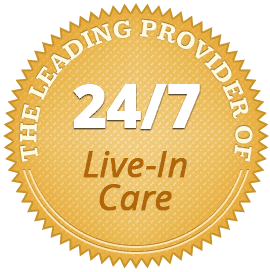 The Grand Strand Home Care Assistance provides flexible live-in and hourly home care that helps seniors age in place with confidence regardless of physical or cognitive limitations. Our comprehensive services promote balanced diet, regular exercise, and overall wellbeing to help seniors enjoy the golden years they deserve. Get your loved one the help he or she needs by calling (843) 353-3105 to schedule a complimentary consultation today.